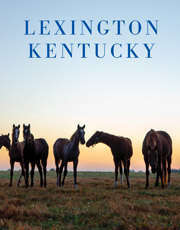 Lexington, KY – The CP National Horse Show returns to Lexington, Kentucky for an exciting six days of equestrian and entertainment events Oct 31-Nov.5. The show, which showcases professional and amateur equestrian competition will feature $810,000 in total prize money, including the $250,000 Longines FEI World Cup™ Jumping Lexington on Saturday, November 5th at 6:30pm. Grand prix show jumping events begin on Thursday, Nov. 2 with the $130,000 CP International Open Jumper class presented by Canadian Pacific beginning at 7:30p.m. Friday night’s competition features the Salamander Hotels and Resorts $35,000 Accumulator class. Friday night will also play host to Barn Night, which is a fun-filled event to unite all competitors who participate at NHS. During barn night, barns, equestrian teams, or local organizations attending the show take part in various activities and contests and receive group or individual prizes for each activity. To register for Barn Night click here. Saturday will host the main events, kicking off with the NHS 5K benefitting the University of Kentucky Markey Cancer Foundation. The U.K. Markey Cancer Foundation provides direct support from the Markey Cancer Center. The foundation has been distinguished as a forerunner in multiple aspects including groundbreaking cancer research, prevention programs and patient care in Kentucky. Parties interested in signing up for the NHS 5K can do so here. Following the NHS 5k, participants are invited into the Alltech Arena to enjoy the Country Boy Craft Beer Garden, a Breeder’s Cup Viewing Party, and a special Man O’ War celebration before the featured show jumping event, the $250,000 Longines FEI World Cup™ Jumping Lexington at 7:00pm. As the largest single-event purse this World Cup Qualifying class will be sure to bring exciting competition to the night. The night will wrap up with a special performance by Grammy-nominated reggae band, The Original Wailers. The original band behind Bob Marley, the Original Wailers features Al Anderson in the role of lead guitarist. To purchase tickets for the concert click here. Sunday will conclude the week’s events with the final round of the prestigious ASPCA Maclay National Championship in which the top junior riders from across the country will compete for the 2017 title. All events are to be held in the Alltech Arena at the Kentucky Horse Park. A complete schedule of events along with ticket information can be found on the CP National Horse Show’s website at NHS.org.